Watch this video to see how I made it along with some quick tips that add up to big impact on your card. Use patterns instead of plain paper to make a big impact. 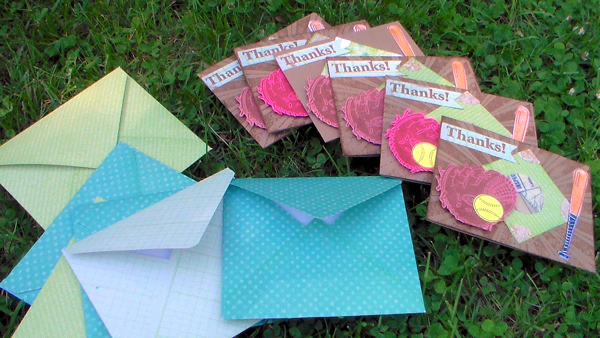 Make envelopes first and use scraps to decorate your cards. 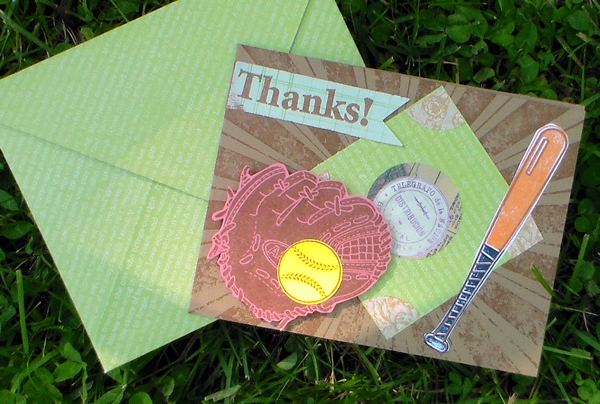 Stamp on colored cardstock to save time.